I would really love to win this giveaway!! Thanks for all that you do! Super cute giftcard! Thanks for the chance. Like you on fb as Heath Boxer. Yay! Another chance to win. Thanks for all you do! I like you on facebook. ALOT! Just liked ya on FB ! I also like you on facebook! Thanks for the chance! I would love to win the Target giftcard! That is such a cool gift card!!!! Where did you find it?? Thanks for always finding awesome deals!!! It would be awesome to win a gift card to target!!! Have a wonderful holiday!!! LIke you on Facebook LOVE you on here! Would love to win this! I have been following you on facebook for a while now and want to let you know I appreciate what you do for your readers! Thanks, and have a wonderful holiday!!! Would love this for all the deals! Happy Holidays! I could really use this. Thanks for the opportunity. Thanks for all you do to help beginner couponers like me!!!! Love your site and am a faithful reader as you have saved us lots of money at Target! Thank you! 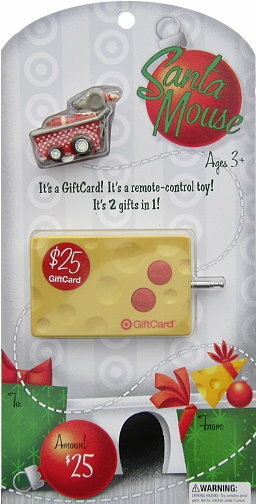 that is so cute my son would love it and i would love the 25 for target!!! That giftcard is super cute. Thanks for all you too. I appreciate your hard work. Merry Christmas! Totally Target is one of my favorites! That is an cute gift card! Thanks for the chance! Thank you for everything .You do an awsome job.Have a wonderful holiday! Can i please win the target gift card? I am a TT fan on FB! Thanks!